You don’t really need to find companies in your town, you need to find companies that have clients in your town. When a mystery shopping company signs a client, they will need shoppers everywhere that client has a location. Those locations might be local, regional or national. I live in Texas, and I have worked with mystery shopping providers in Florida, California, Massachusetts, Washington, Wisconsin, Georgia, Ohio and many other states. All of the shops I completed for those companies were in Texas, usually within a few miles of my home. Of course, it is always possible that a company that is local to you will have more shops in your area than one that is across the country, so signing up with any local companies you discover is a good idea. However, a company does not have to be in your town in order to have lots of great mystery shopping opportunities for you. Okay, I get that. So how do I find the companies that have clients in my town? There are several ways. First let’s take a look at something that does not work as well as you might expect. The Mystery Shopping Providers Association (MSPA) has a page where potential clients can search companies by industry and location to find those that provide the services they are looking for. That means that, for example, the client could search for providers that offer restaurant shops in Colorado. The fact that they offer services in Colorado, though, does not mean that they are currently performing those services in Colorado. It just means that they offer restaurant shops and they are willing to do them in Colorado. Registering with mystery shopper scheduling services means that you will be contacted for a variety of assignments, some of them with familiar companies and others with mystery shopping providers you have never heard of before. Companies may use scheduling services to assign all of their shops, or they may use them only for certain clients or geographic areas. When you are registered with scheduling services, you will be notified when they have open shops in your area, even if you have not applied to that mystery shopping company. (You may have to register at the mystery shopping company’s website before a shop can be assigned to you.) This is a good way to learn about new companies (and companies new to you) that have jobs available in your area. There are also lots of mystery shopper job boards where schedulers post available assignments. One site that aggregates postings from several sources is JobSlinger.com. JobSlinger is a creation of Surf Merchants, the company that built the SASSIE system used by many mystery shopping companies. At JobSlinger.com, you can search for jobs available from SASSIE companies, as well as jobs from KSS International (scheduling services), the MSPA and Volition.com job boards and DemoZilla (a scheduling platform for demonstrations). Another tool from the Surf Merchants/SASSIE folks is PrestoMaps. Open the site in the browser of your computer or mobile device, and it will show opportunities in your immediate area, or in the area around an address you input. (See the image below.) Just click on a map pin to get more information about the assignment. Although you may not get (or even want) a particular assignment you see offered via JobSlinger or PrestoMaps, it does show you some of the companies that have shops available in your area. When you find the companies, go to their websites and register. Then you will start receiving notices when they have other shops available. Lastly, keep in mind that a company that doesn’t have any opportunities for you today may land a national client with dozens of locations near you tomorrow. To maximize your mystery shopping opportunities, sign up with as many companies as you can. Take a few minutes now and then to submit applications to one, two or more additional companies. You will quickly see your opportunities multiply. 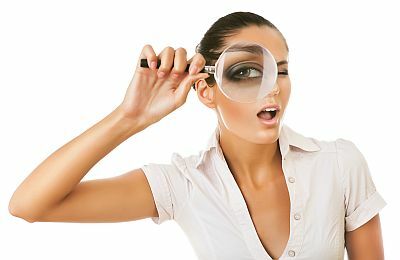 There is a list of 200 legitimate mystery shopping companies here. Is it safe to enter your social security number to register for these companies. Also, when I went to Jobslinger they mentioned a fee in the terms. Teri, there is nothing on earth that is 100% safe and secure; however, most mystery shopping companies have secure sites. To avoid giving out your SSN, get an EIN. Jobslinger has some services for which they charge, but they offer a number of free services. It is not necessary to pay.